With the start of the World Cup I’ve noticed some especially playful World Cup related animations on Google’s homepage (also called Google Doodles.) Some were created to represent a specific game, such as this doodle for USA vs. Ghana…. You can see all of the World Cup Google Doodles on Google’s World Cup doodle blog. I’ve always been fond of Google’s Doodles, but I’ve never taken the time to look into the history and reasoning behind them—until now. According to the Google Doodle website, the first Google Doodle was created in 1998 as a very simple, but comical “out of office” message as Google’s founders were going to be attending the Burning Man Festival. After that, Google Doodles started popping up every once in awhile to celebrate special events and holidays. They were so well received that Google now has an entire team of illustrators (called doodlers) and engineers dedicated to creating Google Doodles. You can visit the Google Doodle website to see the 2000+ doodles that Google has created over the years, but to wrap this up I’m compiling a few of my favorites. 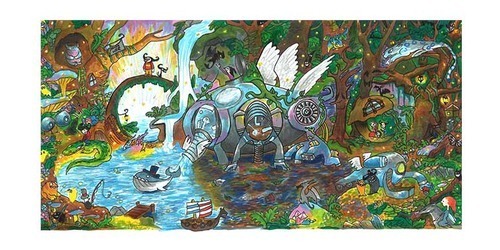 Back to Mother Nature – Created by a middle school student who won a Doodle 4 Google contest. 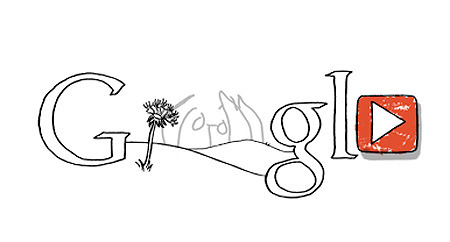 Roswell’s 66th Anniversary – This doodle is actually a game. Click here to play it. John Lennon’s 70th Birthday – Google’s first animated video doodle. Click here to watch the 30 second video.